We know all about how touch screen kiosks and monitors offer and easily accessible information interface in a compact form. Touch screen LCD flat panel monitors and LCD PCs are embraced by a vast array of applications looking to provide easy access. The following eight settings demand quick informational access, which is reason number one for their success with touch screen monitors. touch screen kiosks are becoming a hot topic and it's easy to see why. Retailers are reaping the benefits of having a new channel to sell through. The more points of contact retailers have with customers the more likely they will buy in-store. And customer aren't complaining either as each kiosk makes for a better shopping experience by providing easy access to product information and a faster way to order and pay for goods. From airports to bus stations, touch screens are quickly becoming the norm for transport related transactions and processes. Printing and processing tickets is made simple with an automated machine display, lowering operating costs for public transportation services. Airports are also benefiting from the use of touch screen machines, which are lowering staffing needs in customs and immigration, and allowing airlines to simplify the check-in process. Using a keyboard and mouse for thousands of transactions a day is hardly efficient. In a busy restaurant, the last thing any employee needs is a cumbersome billing and payment interface. Touch screen digital signage allows employees to input and process payments significantly more quickly than a standard PC interface. When it comes to education, the name of the game is quick and easy access to information. In the early 1990s, computing - and later the internet - revolutionized education. Access to data became quick, simple, and inexpensive. Now there's a new revolution going on. Offering simple access for disabled students, attention-grabbing displays for young children, and accessible information for elderly users, touch screen displays are quickly becoming the most popular means of communicating digital information for educators. Touch screens have historically been popular in museum displays. Their ability to convey large amounts of information quickly and easily has made them a fantastic alternative to the traditional mouse-and-keyboard style PC display. Offering durability, simple access, and slick aesthetics, touch screen displays are highly popular with museums and public exhibitions. Touch screens offer more than just simple access to information. The very design of a mouse and keyboard makes them highly exposed to potential damage or wear. A touch screen, however, is significantly more durable, able to function even when exposed to dirt and grime. This durability makes touch screens a worthwhile investment for industrial settings and potentially unclean areas. With a simple addition from a touch screen kiosk manufacturer, a business presentation can be supercharged and made significantly more effective. The most effective presentations demand two things - simplicity and control - and a touch screen display gives business presenters both. With the medical world demanding clean and quick access to information on demand, touch screens are quickly finding a large new audience. From operating theatres to patient booking rooms, the medical industry is embracing touch screens as a sanitary, ultra-efficient alternative to traditional PC displays. There are many types of touch screen technology used today – resistive, capacitive. projected capacitive, infrared and surface acoustic wave. Visit our blog post at Comparing the Top 5 touch screen technologies. Withresistive touch screen technology, any kind of item can be used to activate the communication between the hardware’s conductive layers, such as a pen, stylus or finger. These conductive layers are made up of a normal glass surface topped with two metallic layers, one being resistive and one conductive, and finally a scratch resistant protective screen encasing it all. What happens when you touch the screen is that the pressure causes a contact between the resistive and conductive metallic layers, and a change in the electronic field is monitored. This change is then recorded by the electronic circuitry used in the device and the data is passed on to the firmware which, in turn, process and then passes on the data to the devices operating system. The operating system will then produce a visual display on the screen of the captured motion or action (click or mouse drag etc.). Circularly polarized touch panels greatly enhance display readability in direct sunlight conditions. The touch panels eliminate over 60% of reflected ambient light while maintaining 79% luminance transmissivity. These resistive touch panels are designed for use with transmissive LCDs in a variety of portable and stationary outdoor applications, such as kiosks, navigation systems, industrial instruments, and test instrumentation. A capacitive touch screen works in a slightly different way to a resistive touch screen. On top of the monitor glass, a layer is placed that stores an electrical charge. Once the layer is touched, a very small electrical charge is transmitted to whatever came into contact with the screen, which effectively reduces the amount of charge on the layer. This change in electrical charge is monitored by sensors which are located at the corners of the screen. The sensors then pass on the data to the device software and then the operating system in turn and a visual display is produced. With a capacitive touch screen display, a conductive input method must be used such as a finger or specific input device. PCAP projected capacitive touch technology is an ideal choice for a wide range of industrial-grade applications, such as process control terminals, medical displays and agricultural vehicle telemetry systems, as the touch performance in unaffected by scratches, dirt and dust on the screen. They can also be operated by a user wearing heavy gloves, and can be sealed to extremely high IP rated systems making them suitable for challenging or outdoor deployments. For Armored Touch, a micro-thin sheet of borosilicate glass is laminated to the ITO polyester top sheet used in the typical construction of resistive touch sensors. This process produces a flexible glass membrane which is scratch resistant, water proof and impervious to chemicals, fire and stylus use. The resulting touch sensor is ideally suited to Military, Industrial, Mobile, Public Kiosk and Medical applications. Configurations are available for 4, 5, and 8 wire sensors from 5″ to 24.0″. New to Touch Screen Technologies? Need a fast, easy touch solution? Buy a complete touchcomputer system that includes the computer, an LCD display, and completely integrated touch capabilities. You have a functioning touch system out of the box. • Peripherals. 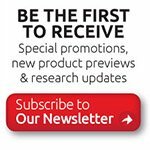 Do you want peripherals such as a fingerprint reader, magnetic stripe reader, or customer display? • Operating system. What operating system is appropriate for your computer usage? If you already have a computer system but want to add touch capabilities, the easiest solution is to purchase an LCD touchmonitor. The touch functionality is already built in! • Size. What size display do you want? • Color. What case color do you want? Black, dark gray, and beige are the most popular choices. Our product pages for LCD touchmonitors include complete details on these and many other specifications. When you purchase a touchmonitor, you will need to install the appropriate driver on your existing computer. Drivers are generally written to match the operating system of the computer. For example, if your computer is running WIndows XP Professional, you would use the AbraxSys driver for Windows XP Professional, regardless of whether you have a touchscreen or an LCD. On occasion, drivers are written to match a certain touch technology rather than the operating system. Also, some peripherals may require their own, additional drivers. If you are an experienced system integrator or OEM, you may wish to purchase only the basic touchscreen, then integrate it into your own products. You'll need the touchscreen, as well as its corresponding controller and cables, and a driver suitable for your operating system. 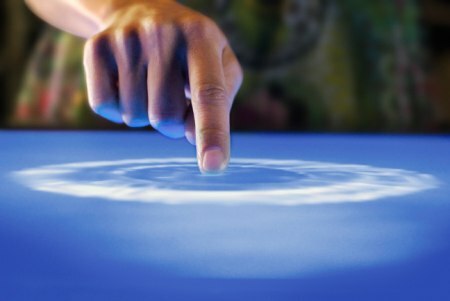 The touchscreen is, literally, the user's first point of contact with a touch system. It may be a physical film overlaid on top of an LCD that is sensitive to the pressure of a touch. Or, it may be an grid of invisible waves in front of a display that is interrupted by a finger or other stylus. you accept less transparency because you need an overlay? NEMA 4 or IP65 standards. for the active touch area? • Shape. Are you placing the screen over an LCD display? The controller is hardware that supplies power to the touchscreens, coordinates the communication between the touchscreen and the computer, and checks for errors. • Interface. USB or serial? • Mounting. built-in, internal card, external box? The driver is a software program that enables the touch system to interact with the computer system. It accepts the data from the controller and does the calculations to move the cursor on the display in response to a touch. It also screens incoming touch data for errors, controls calibration, and offers diagnostic and troubleshooting tools. Drivers are generally written to match the operating system of the computer. For example, if your computer is running WIndows XP Professional, you would use the Elo driver for Windows XP Professional, regardless of whether you have a touchscreen or an LCD. On occasion, drivers match a certain touch technology rather than the operating system. • Operating system. What is your computer's operating system? • Interface. The appropriate driver may vary, depending upon whether you are using a USB or serial touch interface. 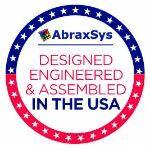 Still not sure, contact an AbraxSys associate for more information.